cost effective AC to DC and DC to DC pluggable rack mount power solutions. EASILY TRANSPORTABLE, INDUSTRIAL COMPLIANT POWER SYSTEM BUILT FOR HARSH ENVIRONMENTS AND PORTABLE EQUIPMENT ON THE MOVE. are used in industrial applications where ruggedness, configurability, high I/O throughput and real-time computing power are required. 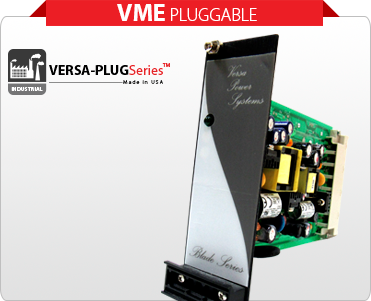 AJ’s Power Source Inc. is pleased to announce the release of our new VERSA-PLUG SeriesTM. This new Industrial Pluggable Power Supply has just been added into the Industrial Product Line and is a Ruggedized Industrial compliant pluggable power supply system built for deployment and operations equipment. The Industrial Pluggable Power Supply has Unique Features Designed to Meet All the Industrial Standards. Industrial Rack Mount Single or Three Phase Options. This system has many unique Features such as over voltage, over current, over temperature and short circuit protection. It has remote monitoring and remote control embedded into each power supply system. Stainless steel slide rails allow for multiple rack depths. 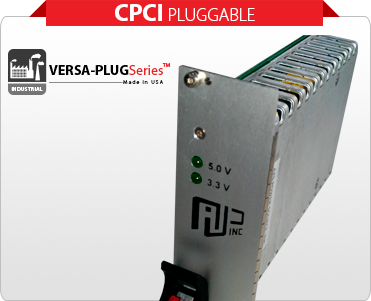 Fully Customizable Industrial Pluggable Power Supply to meet your requirement both Mechanically & Electrically. Industrial Pluggable AC DC Power Supply, Industrial Pluggable DC DC Power Supply, Industrial Pluggable VME Power Supply and Industrial Pluggable CPCI Power Supply. AJPS monitors the latest industrial standards to ensure that we can provide the best and most current information. When you purchase a configured system from AJ’s Power Source, we issue it a unique part number, so that you can order the same system in the future. Configure your Rack mount AC to DC and DC to DC Industrial Pluggable Power Supply version today! 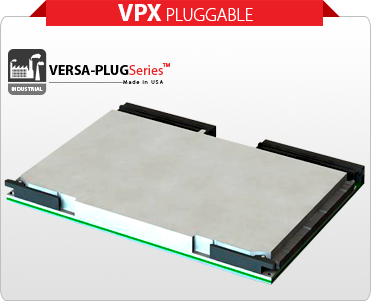 To learn more about our Industrial Pluggable Power Supply VERSA-PLUG SeriesTM and our Industrial power solutions, please do not hesitate to call our office today at (813) 996-2583 or Contact Us by email.